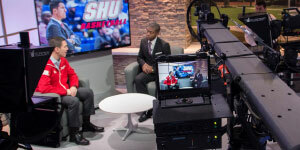 Distinguished by the personal attention it provides its students, Sacred Heart University (SHU) is known for its commitment to academic excellence, Division I athletics, cutting-edge technology, and community service. Recently named one of the fastest-growing Catholic universities in the country, this dynamic institution is an innovative presence within higher education. 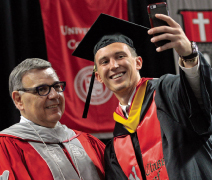 At the heart of the freshman academic experience at SHU are the connections freshmen form with faculty members as soon as they arrive on campus. In the First Year Seminar program, freshmen explore fascinating topics in an intimate weekly seminar led by a professor. Freshmen also work with an academic advisor in the SHU College in which they are interested in studying who guides their advisees on curriculum planning and other academic issues. Below are a few other hallmarks of the SHU freshman academic experience. In addition to short-term and semester-long programs around the globe for upperclass students, SHU offers incoming freshmen the opportunity to spend their spring semester at SHU's own campus in Dingle, Ireland, or attend a one-week program in Ireland before the start of their fall semester on the main campus. The Jandrisevits Learning Center offers learning strategies to meet individual students’ needs in the form of tutoring, workshops, Learning Labs, writing support, and group study sessions. The Office of Special Services offers additional services to students with documented learning disabilities. Sacred Heart University offers BS degrees in Computer Engineering and Electrical Engineering, and a 3+2 dual-bachelor’s program in which students earn a liberal arts degree at SHU and a degree from Columbia University or RPI in an Engineering discipline such as Biomedical, Chemical, Mechanical, Chemical, Materials Science, or Industrial Management in five years. SHU Engineering students have the unique opportunity to utilize our MakerSpace, 10,000 square feet of the finest equipment and resources and a place for collaborative innovation, exploration, and learning. The MakerSpace features a metal and wood shop, electrical engineering room, drone room, materials characterization and manufacturing area, true 3D printing and modeling room, studio area, and more. By interacting with students from other disciplines such as Business and Art & Design, Engineering students engage in the types of collaborative cross-functional experiences they will encounter in the professional workplace. The Molecular and Cellular Biology major emphasizes course work in biotechnology, microbiology, and cell/molecular biology and provides students with extensive research experience through research with faculty and internships with local biotechnology companies. The major is idealfor students preparing for graduateschool or employment in the pharmaceutical and biotechnology industries. The Biology major preparesstudents for a wide variety of careers in the life sciences as well as meeting the requirements for admissionat most graduate and pre-professional schools. The Coastal and Marine Science major emphasizes course work in coastal science, marine science, ecology, conservation biology, environmental restoration, and related areas, plus fieldwork, independent research projects, and internship experiences. At Sacred Heart’s international coastal research center in County Kerry, Ireland, students partake in international researchand study experiences led by faculty members. Closer to home, SHU’s proximity to the Long Island Sound offersunique research experiences such asProject Limulus, a research program examining the American horseshoe crab population in the Sound. Recent graduates from SHU Biology programs have gone on to work with employers such as the Centers for Disease Control, Harvard School of Public Health, the Connecticut Agricultural Experiment Station, Bayer, and Unilever, while others have enrolled in graduate programs at schools such as Columbia University, Brown University, Yale University, Dartmouth College, and New York University. The Neuroscience major emphasizes interdisciplinary course work in biology and psychology. Supervised research with Biology or Psychology faculty and internships in neuroscience-related health care or biotechnology fields are an integral part of the curriculum. This major is excellent preparation for graduate and professional training in the biomedical sciences, careers in the health professions, or careers in neuroscience-related biotechnology and pharmaceutical industries. The Biochemistry major offers instruction in biochemical theory, techniques, and practices. Graduates are well qualified for laboratory research positions in chemical and life science industries and for continuing training in the health sciences, including medicine, pharmacy, and dentistry. The BS in Chemistry provides a curriculum with strong, supportivecourses in mathematics and physicsand is recommended for graduate study in Chemistry or as preparationfor an industrial position. Through SHU’s accelerated bachelor’s-master’sdegree program, students earn both a BS and an MS in Chemistry in five years. The strengths of the SHU Chemistry programs include small class sizes; extensive interaction with faculty; an award-winning student affiliate American Chemical Society chapter;facilities with the latest innovations in technology, teaching pedagogy, and lab equipment; opportunities for community service; and a comprehensive internship program. In SHU’s School of Computer Science and Engineering (SCSE), the Game Design and Development degree, recognized by The Princeton Review as one of the “Top 50 Undergraduate Game Design Programs” in the country, focuses on the game creation process, game play theory, fundamentals in computer graphics, components of animation, and how to thrive as part of a multidisciplinary team. Students utilize a new Gaming Lab as an extended classroom and compete as part of the intercollegiate eSports team. Degrees are also offered in Cyber Security, Computer Science, and Information Technology. Students choose the SCSE for the hands-on approach to learning, small classes, and individual attention. 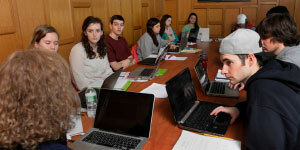 Students work with faculty on undergraduate research projects, including a year-long senior project. State-of-the-art computing labs, a closed LAN laboratory, and a new motion capture lab for digital editing are available to students. Off campus, students intern at a variety of top companies, including Microsoft, GE, IBM, Morgan Stanley, NBC Sports, Sikorsky Aircraft, and others.